Renaming files can be quite a tedious task. Ever faced the dilemma of having downloaded tons of files, and being faced with the prospect of looking for your documents, your music, your photos among a pile of junk. Even more so, when you have a pile of data from a similar source, say your phone’s images, all labeled IMG_20170102_xyz.jpg, a total haphazard sequencing. Curious to know how to sort your data, rename them, organize them, so that you don’t have to deal with the clutter, and be able to easily search among them. Well then, you’ve struck the right place. Let us take a look at one of the simplest, yet most wanted aspects of personal computing. 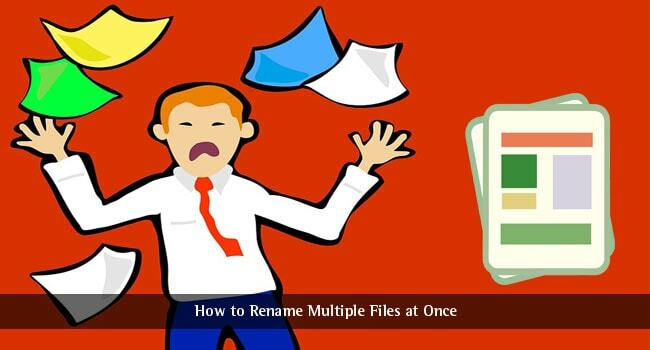 How do you rename multiple files and organize them just the way you want? Right click -> Rename: Too tedious, cannot be applied for correct sequencing. 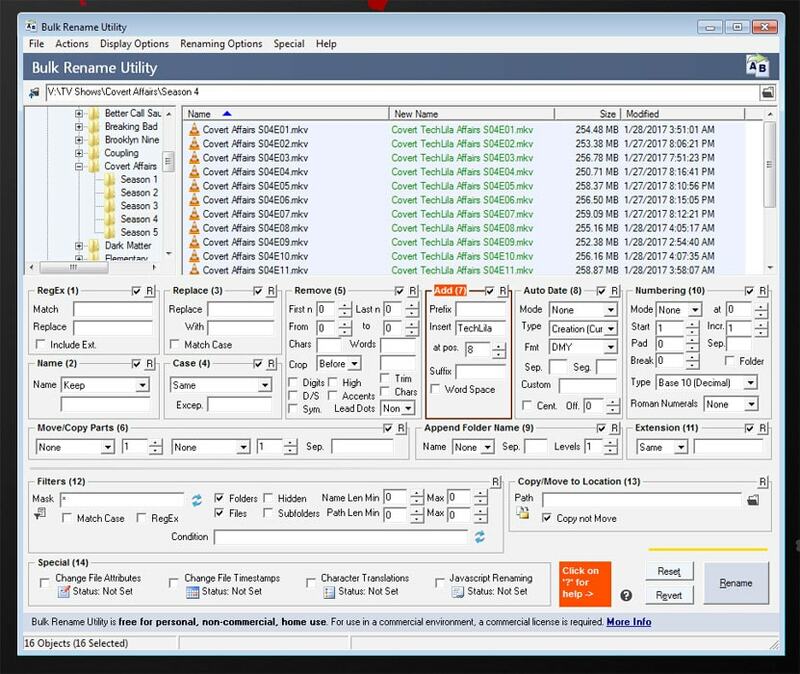 This method is only workable for single files, or a batch you file which do not need to be specifically organized. Using Command Prompt / Power Shell / Terminal: This method allows a lot of control, including search and replacement of specific terms, specific sequencing and overall good organization of your files. But this is a manual method, and those who do not know the commands by heart, might face a lot of headaches to actually get any work done. 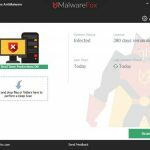 Using a third party software: By far the best solution available, there are numerous free and paid third party software, through which you can batch rename your files, sorted by folder, extension, name, just say how you want it, and its probably done. Not just that, these applications are a lot powerful about how much you can control in your file name as well. Today, let us take a look at some user-friendly free applications which can accomplish this job. Installing the application is the proverbial first step, and it is quite straightforward for all 3 platforms. Wait for the files to download and install, and you are done. Simply double click the executable, install the application, and you are done. Unzip the file, drag it into your Applications folder, and you are done. Once the application is done installing, let us open up the application and take it for a spin. Opening up pyRenamer, we are presented with a blank screen as such. Browsing to a folder whose files you want to rename, you will see a preview of the files, their original names and the renamed versions according to the parameters. Image Data to FilenamepyRenamer is pretty simple to use. You select all the files you choose to rename, choose your parameters, and simply click rename. Yeah, its that simple. For Windows, we are using Bulk Rename Utility. 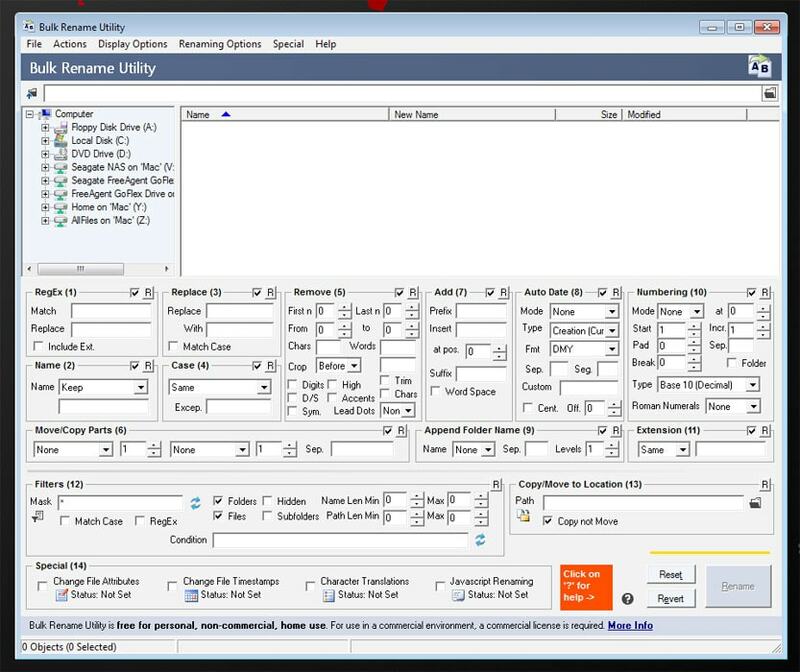 Opening it up, we are presented with what we must admit, is a mind boggling user interface. Bulk Rename Utility looks really complex, but trust us, it’s actually fairly simple when you look at it well. It is one of the most feature packed alternative available. Bulk Rename Utility packs everything, from adding characters to folder substitutions. Using the app is simple. You browse to the file directory, select your options and click the big blue rename button. On Mac OS, we are using Name Changer. 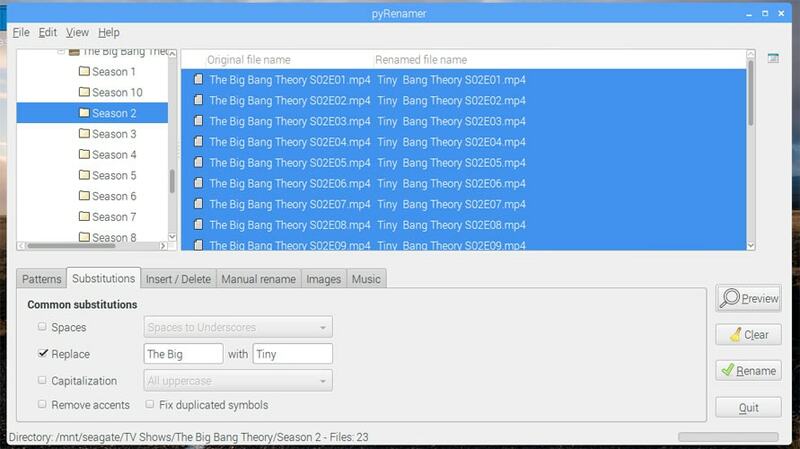 This has to be one of the simplest applications for bulk renaming your files. However, this isn’t necessarily a bad thing, as the app still serves its purpose perfectly. Opening up, we are treated to an interface, which screams simple. We can drag all the files we require into this menu from the file explorer (or Finder, as Apple likes to call it). 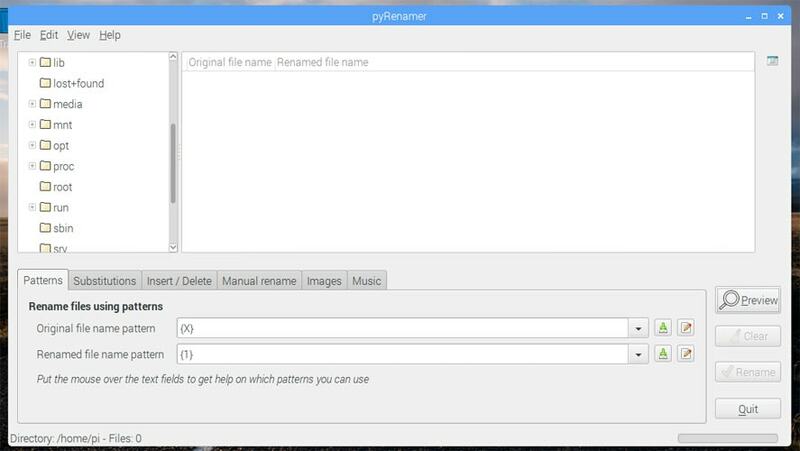 Name Changer is a very user friendly option, yet still manages to pack in most of the useful features we saw in pyRenamer and Bulk Rename Utility. 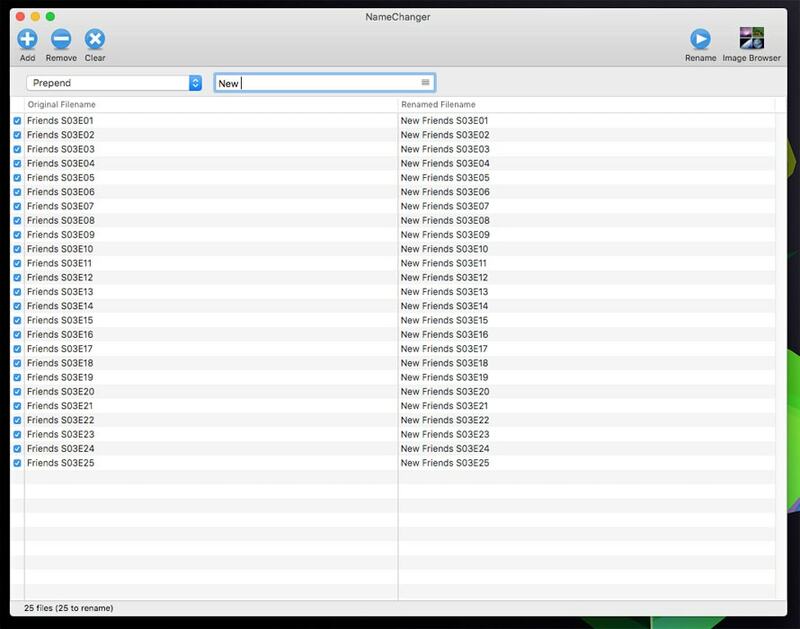 Using the app is as simple as dragging files, choosing the parameters and clicking rename. Today’s discussion was purely a topic of organization and aesthetics. It’s true that you do not need to rename your files necessarily. It helps your computer be de-cluttered, as files are in their respective folder, named correctly, so you get rid of the junk you don’t require anymore. All in all, keeping your files well organized is just one step to being more productive daily. I never knew so many files can be renamed at once. Gonna download the software now. Try KrojamSoft BatchRename program, very good in such case. We will surely give a try to it Wilkster. This is amazing. Never thought that about renaming multiple file at once. I would definitely try this software. This is amazing article, I never thought this. Thanks for this great article. Thanks for the wonderful blog, this blog is very helping for me to rename the multiple files at once thanks a ton. Amazing. Time saving trick. Thanks for this amazing post. I suggest to try KrojamSoft BatchRename.